In 2-quart saucepan, heat oil and onion over medium heat 1 minute. Add tomatoes. Season with salt and pepper to taste. Stir in sugar and roasted peppers. Cook 4 minutes, crushing tomatoes with back of wooden spoon and stirring occasionally. 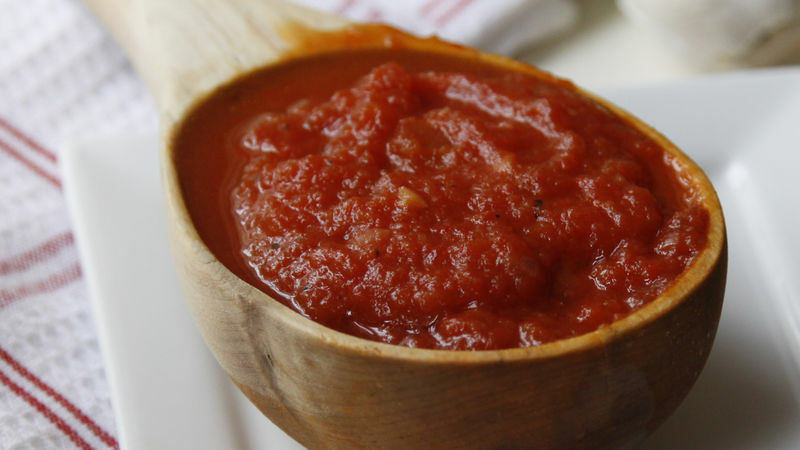 blender or food processor, place sauce. Cover; blend on medium speed until smooth. Spread sauce on crusts as directed for favorite pizza recipe. Add chopped fresh basil leaves for additional flavor if desired.